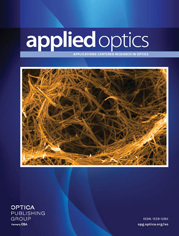 The author is presently a consultant to Optical Industries, Inc., Costa Mesa, California 92626. An unusual application of the laser, namely protection of life and property from lightning, is described. The device relies on multiphoton ionization in mode-locked beams, rather than on collisional (avalanche) electron production. Feasibility is demonstrated numerically, and relevant principles explained. A method of mobile deployment is mentioned, by which economic (as opposed to scientific) feasibility might be achieved.